Becoming a top precision contract manufacturing service wasn’t done over night. Over the past 50 years and three generations, Unity Precision Manufacturing has been working with customers from diverse industries around the world, emphasizing quality, precision, and timely delivery. 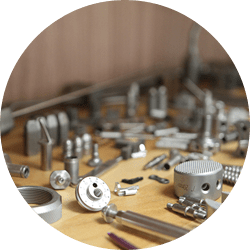 Manufacturing everything from simple parts to complex assemblies, our highly-skilled staff, quality-driven processes, and well-equipped facility are capable of bringing your project to reality. We have years of experience producing parts of all sizes, materials, and quantities. We are committed to delivering a product that is to print, on time, every time. With decades of experience, we’re comfortable working in a variety of industries, but over the years we’ve established renown for our work in the following industries.